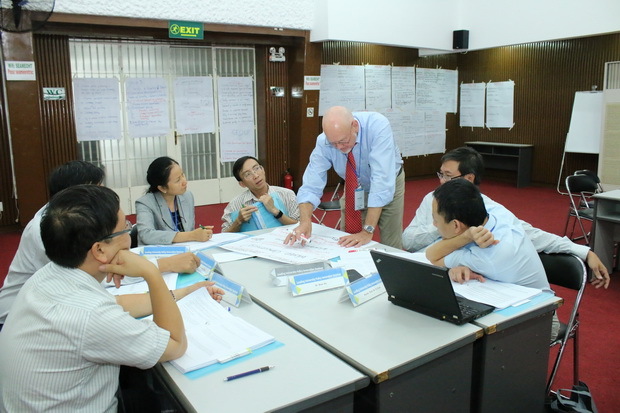 From September 6-9, 2016, SEAMEO RETRAC in collaboration with Portland State University, and Arizona State University, USA under the sponsorship of USAid conducted a kick-off seminar for 35 university leaders and administrators in Vietnam focusing on building university-industry learning and development through innovation and technology. 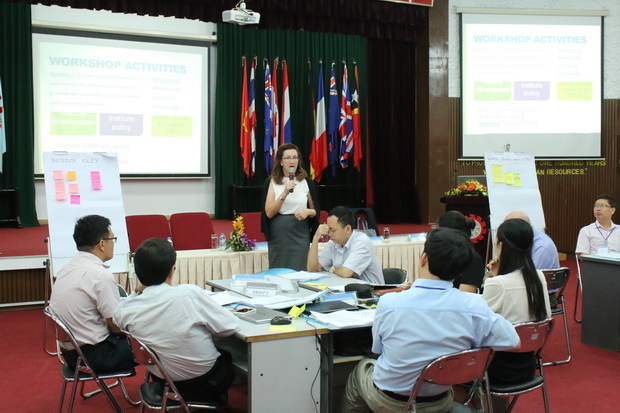 During the 4 days of training, participants familiarized themselves with such the topics as Leading University Policy Innovation, Leading from Policy Identification to Policy Formulation, Smart Leadership for Policy Realization, Leading Coalitions for Policy Innovation. In addition, they had the opportunity to explore in depth in issues, policies, challenges, cases as well as to share experiences and best practices relating to developing university and industry partnership. 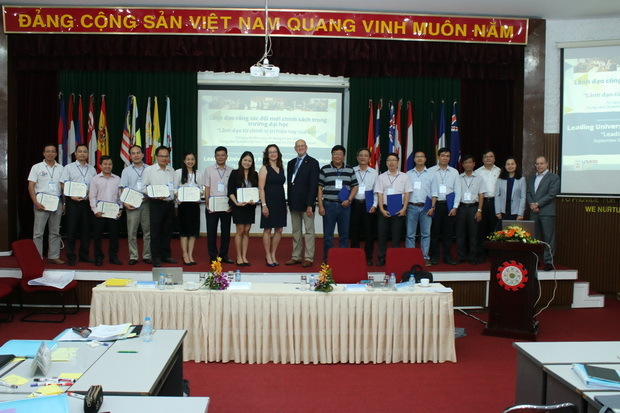 After successfully conducting the kick off seminar, SEAMEO RETRAC will continue to organize a series of training workshops in developing university – industry partnership, higher education leadership and management for Vietnam university leaders and administrator in 2017.